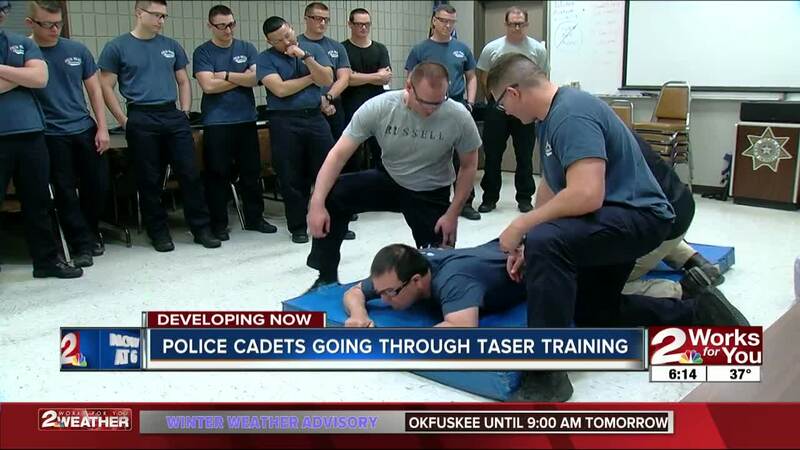 TULSA — Before Tulsa Police cadets are armed with a Taser, they have to experience the device themselves. It's the day cadets with the Tulsa Police Department dread the most -- 19 men and women willfully lined up to be Tasered. It's just one more certification they'll need to be the next Tulsa police officers protecting the community. For many of the cadets, all college graduates, it's their first job. They learn that the Taser is always kept on the opposite side of their gun. It's still considered a lethal weapon, that works about half the time. There are two probes that shoot 25 feet. If it's used correctly, it will an officer five seconds to get a suspect cuffed, but still alive. All of the trainees realize the danger they'll face on a daily basis as a Tulsa police officer, but they also know that it's an opportunity to help someone else on their worst day. It takes eight more weeks of training for the cadets, then four months on the job before they hit the streets on their own.